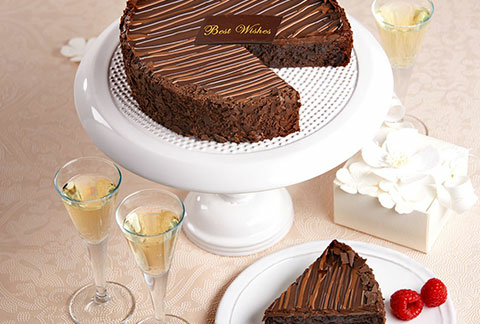 This is the perfect cake for the true chocolate lover. 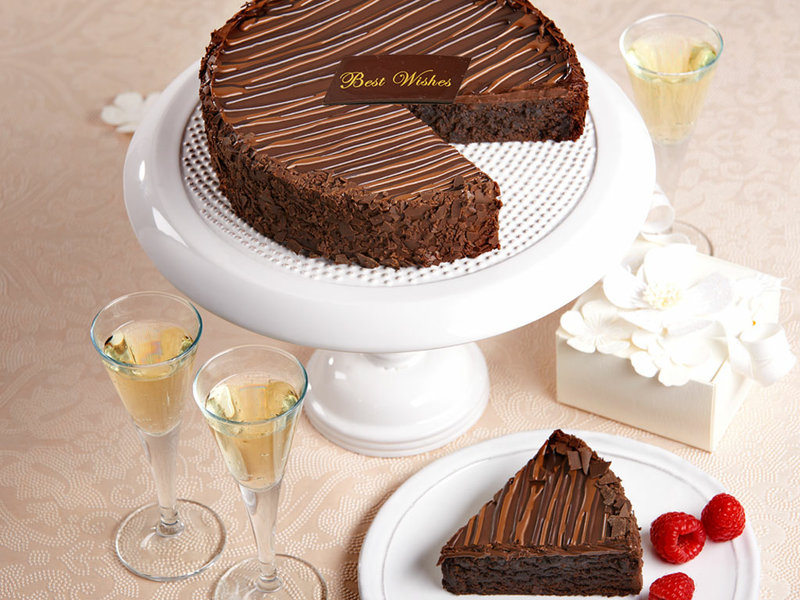 Our dense, moist brownie cake is covered in not one, but three layers of decadent chocolate. The cake is coated with a rich chocolate fondant icing, showered with dark chocolate shavings and then finally drizzled with milk and dark chocolate glazes. This triple-chocolate delight is sure to satisfy any sweet tooth. 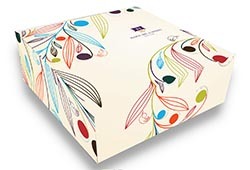 Each cake is delivered in an elegant gift box with a personalized greeting card to celebrate any occasion.